The BEST UK CHARITY! GERMAN SHEPHERD DOG RESCUE (GSDR) Branded Children's Short Sleeve T-Shirts. ***BUY NOW & SAVE A Dogs Life Today*** Short sleeve GSDR T-Shirt with a small logo on the front. This T-shirt is a nice quality and is 100% cotton so should wash and wear well. 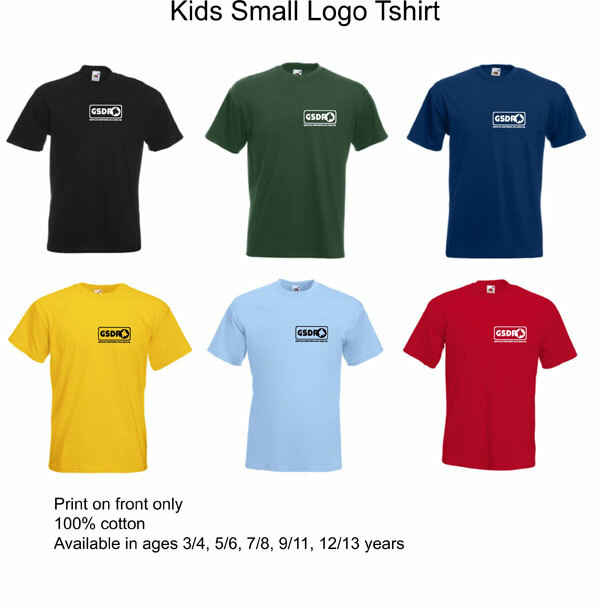 The T-shirt comes in sizes to fit aged 5/6 up to 12/13 years of age.